Nice community.. Mtce department great, though mtce being notified by mngmnt is very slow if you use resident portal. Other residents don’t pick up after their dogs. Residents leave dogs alone in their apt and the dogs bark and howl. Staff very courteous and strives to serve residents. Beautiful complex! The staff here are very friendly and helpful. The trees and grounds are inviting. Quiet and well maintained. We love it here! Lisa made this process so stress free for us. She was always there to help, no matter how many annoying questions I asked! The staff was extremely pleasant. The whole experience has been great ! Any first day move in issues were handled imedietly. Great attitudes by the staff at all levels. They made a miserable move a lot easier . This community is a good place to live, quiet and safe. I have not seen any incident since I live here. The apartment is comfortable, and I like the kitchen area. I love this community because they take good care of the units and their tenants. The neighborhood is quiet and friendly and the friends are kept clean. Hey there Marjorie, Thank you for your recent review. Hope to see you at our resident event on February 12th from 5-6 pm. I really enjoy of living here. I've been a part of this community for 18 years now, and it hasn't been the most perfect 18 years, but I wouldn't trade them for anything! Quite, and easy going. And the best part? NOT Gated! Hey Edwin, thank you for the review! I like not having the hassle of a gate to get into the community too! I had an ant problem,but I let the staff know about it and it was fixed the same day...then pest control came out that following Friday (like two says later) to spray. Thanks for the speedy service! Hello Sierra. thanks for the review. I am glad we were able to get rid of the ants. Please let us know if there is anything else we can help with. A great place to call "home". The entire staff always greet you with a smile and are very helpful to our needs, and are quick to attend to any problems that arise . The grounds and facilities are kept clean every day by friendly workers.I like to live here and will always recommend it to others. Mariana, thanks for the kind words. Its nice to know that our hard work and professionalism shows. Please let us know if there is anything you need. We are always happy to help or answer any questions you may have. So far everything has been good and everyone has been nice. Clean facility and calm quiet place to live. The staff have so far been nice and helpful. Hello Artur, Thank you for the kind words. I am glad your enjoying your new home here. Please let us know if there is anything else you need, we are happy to help. We know you have options when it comes to renting an apartment home, thank you for renewing your lease with us. Great Service from Wanda. Explains absolutely all paperwork and goes step by step with you to get you into a apartment. I recommend her to anyone looking for a home. .
Hey there Maria, Thank you for the recommendation. I shared this with Wanda and it really made her day! 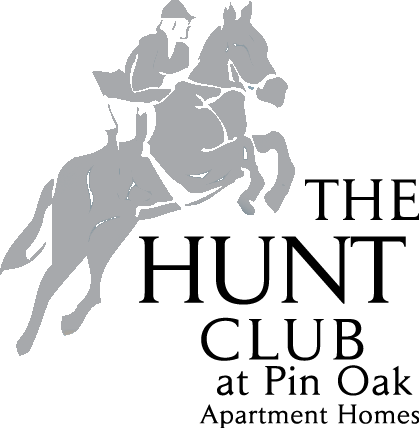 I think that Wanda and Allysa are good people The maintenance men are friendly and helpful.Would recommend the complex to friends.I like the way that they redid the apartments after the flood.Keep up the good work. Thanks Terrye for your kind words. I will let the staff know, I am sure it will make their day! The renovations do look amazing, don't they?! I have really enjoyed living here. It's quiet but not boring. The neighbors and the staff here are so nice. The apartments and the grounds are kept up well. We are also conveniently located close to grocery stores, restaurants and the mall. Thank you for your review. Our staff works hard to ensure that the community is looking its best for you to come home to each day. Torrey, Thank you for the feed back. Our community really is a peaceful place to live with the trees and birds nearby. The Hunt Club has been the best home I have ever had. I have been year for almost 4 years now and have lived in peace and comfort throughout my time here. The staff has almost become apart of my family. I can talk and chat with them as if I have known them longer than I have. I feel overall that I am truly apart of a community and not just a single guy living in an apartment like it’s a hotel. It has been a great place to call my home. Thank you for your review. I shared your comment with the staff and it really made our day. My husband and I love this place! Five minutes from Katy mills and everything close to us but far enough that it’s still quiet and peaceful where we live. Thank you. We wish you moved here sooner too! From the first day we met Wanda my husband and I knew we were in great hands. She answered every question and was very courteous to us. We are very grateful for her. This is place is great! Front office is very nice & very helpful! Apartments look nice and spacious! I would definitely recommend this place to others! Thank you so much for your kind words! We greatly appreciate it! So far it has been great. Its peaceful and I love the trees within the complex because it makes for a nice stroll(like walking in the park). Just moved in and it feels like I have lived here for years. Great experience and great staff. Everyone made the move so smooth and I can't state enough how good that feels. Love how quiet it is, how clean and how close it is to everything, I like how quick the response is when you have a problem in your apartment. Juritza, Thank you for the 4.5 star rating! Thank you for the suggestion of adding a gym. This is in the works for early 2019! Everything I wanted. It's quite and peaceful. I can walk outside without having to look back and it's quite and clean. My new home is beautiful and spacious. Quaint little complex, many trees, nice-sized apartment with "wood" type floors and accent wall, wonderful management (Alyssa is great!) and always on-top-of-it maintenance! Lived here six years now and two years in the early 90s. Has always been a good experience! Love it!